In this second part we take a closer look at hidden or disguised risks, and some of steps that RPs can take to ensure that their risk management framework evolves to adequately control new DevCo hazards. In the first of a two-part guide to development company risk management, Sue Harvey outlines the potential contagion routes to registered providers, and the ‘dominos and ricochets’ that boards need to be aware of. CT’s Liz Zacharias highlights the findings from NHS Provider’s new report on mental health services: Addressing the care deficit. Gera Patel and Radojka Miljevic outline 7 workplace thoughts for International Women’s Day. Chris Hampson, Chief Executive of Look Ahead discusses the NHS’s Long Term Plan to transform mental health and wider social care services considering what the challenges are and how to overcome them. The NHS’s Long-Term Plan was launched on 7 January 2019. This important document is a further development of themes initially set out in the five-year forward view for the NHS that was published in October 2014. What are the highlights for the care and support sector? Scott Causer, Consultancy Project Manager at Campbell Tickell, discusses the impact of closing community spaces on identity and well-being. Greg Campbell, CT Partner, outlines not only the need for Plan A, but also Plans B and C too in light of unpredictable circumstances. To truly progress, we must acknowledge our own failings, James Tickell, CT Partner explains. Civil Society Futures was an independent inquiry set up to find out what the future of civil society holds by speaking with people across the country. This resulted in the creation of the PACT for the future. James Tickell, Partner at Campbell Tickell, introduces the CT Culture Scan – an innovative survey tool for measuring organisational culture. Radojka Miljevic, Partner at CT, outlines the impact of crises on organisations and identifies a new wave of governance thought. Social Housing Pension Scheme valuation results are in – what does it mean for you? After a long wait, the results of the September 2017 valuation of the Social Housing Pension Scheme, or SHPS, are in. The headline is the deficit has increased to £1.5 billion. What does this mean for contributions? Guest writer, Richard Soldan, Partner at LCP, discusses. Can Approved Housing Bodies rebuild Ireland? 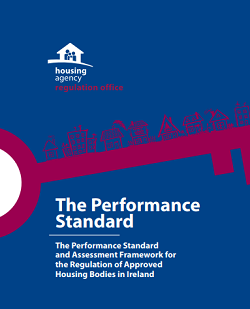 Kathleen McKillion, CT Senior Associate Consultant, examines the picture for Approved Housing Bodies in meeting affordable housing requirements in the Republic of Ireland. Nicola McCrudden, our new CT Senior Associate Consultant, outlines the key challenges for housing providers across the North and South of Ireland. CT Partners, Greg Campbell and David Williams outline Campbell Tickell’s work across the island of Ireland and some of the key issues organisations face. Mia Rafalowicz-Campbell, Policy & Research Officer, looks at role of Community Land Trusts in meeting housing demand. Technical assurance – what should a board know? Jon Slade, Director at Campbell Tickell asks how does your board gain assurance on technical matters? Maggie Rafalowicz, Director at Campbell Tickell, discusses key areas to consider for the Right to Buy consultation, closing 9 October 2018. I am bit of a ‘Johnny come lately’ when it relates to appreciation of Liam Gallagher’s song-writing and singing abilities. Having read the government’s Funding for Supported Housing Government response to two consultations, however, I am amazed by ‘our kid’s’ perceptiveness and understanding of our funding journey and its outcome. Fulfilling Lives: 5 years on – what have we learned? We asked Alison Bearn, Programme lead at Fulfilling Lives Islington and Camden, about how work is progressing. Cedric Boston, Chief Executive of Arhag, outlines their plan to become the ‘go to’ organisation for migrants and refugees in London. Alice Smith, Consultant at Campbell Tickell, finds out how the Charity Governance Code has been received, adopted and put into practice in its’ first year. Sadiq Khan’s council house building programme – will it be effective? Maggie Rafalowicz, Director at Campbell Tickell, discusses the potential of Sadiq Khan’s council house building scheme. Our guest blog is from Maggie Gjessing, Head of Housing Growth, Asset Management and Regeneration, Leeds City Council, who discusses the city’s inclusive growth strategy. Tony Hutchinson, Senior Associate at Campbell Tickell, discusses what an effective regeneration programme looks like. Maggie Rafalowicz, Director at Campbell Tickell, outlines what a comprehensive and effective housing strategy looks like. Gemma Prescot, Head of Interim Management, discusses the impact IR35 rules have had for interim positions in local authorities. The Value for Money Standard: Snog, Marry, or Avoid? Jon Slade, Director at Campbell Tickell discusses the new Value for Money (VfM) Standard in the updated Regulator of Social Housing’s (RSH) document. Boards: stick to your financial golden rules! Sue Harvey, Partner at Campbell Tickell, discusses implementing ‘golden rules’ to achieve financial resilience. Rosie Chapman, Senior Associate, outlines 8 key steps for achieving change in organisations. Sue Harvey, Partner at Campbell Tickell, explores reclassification of Ireland’s approved housing bodies. Dawn Matthews, Senior HR & Recruitment Consultant, outlines considerations for successful recruitment. Greg Campbell, Partner at Campbell Tickell, discusses managing risk in procurement in light of Carillion’s collapse. John Glenton, Executive Director of Operations for Care and Support services, at Riverside, takes a look at the social value for their Newbury First service. Social Impact Bonds, are they the answer? Social Impact Bonds, or SIBs, are a financial product for funding outcome-based contracts in the public sector – in other words payment by results. The approach is increasingly popular in the charitable, local government and housing sectors. The Adult Social Care Activity and Finance Report published in 2017, draws together for the first time official data on local authority adult social care activity and finances. Community-based care: what works best? Moving care into the community has been a goal for health policy in England for a long time. It is a key element of many of the Sustainability and Transformation Plans (STPs) and the newly minted approach of ‘accountable care’. After Grenfell: How should social landlords change their approach? The Housing sector must not wait to be told what to do next, writes Greg Campbell. Guest writer, Helen Cookson, Senior Associate at Trowers & Hamlins, discusses how the upcoming General Data Protection Regulation will impact on the nature of consent for charities. In this week’s CT blog, Policy & Research Officer, Mia Rafalowicz-Campbell, discusses an evolving approach to placemaking. At a time when the news is packed full of ‘deal or no deal’ stories and Brexit has become a national obsession, some might find it surprising that we feel it the right moment to move closer rather than further away from European colleagues. The truth is that collaboration has never been more important. Read ICSA’s press release on the Sports Governance Conference, at which CT Partner, James Tickell spoke. Running effective and yes, inspiring meetings can make the difference between trustees staying with a charity and making a positive impact or not. Sarah Loader, CT Consultant, discusses how to to run effective meetings. Going on a week’s holiday on 23rd October was not great timing for following the proposed new funding framework for supported housing, but I did raise a glass to the demise of Local Housing Allowance (LHA) caps for social housing and the LHA being applied to supported housing, while sunning myself. Campbell Tickell is conducting a new piece of research on Board remuneration to complement its future benchmarking exercises and to keep abreast of the latest trends and developments within the social housing sector. Game On: What financial issues should you be looking out for this year? CT Associate, Roger Maddams discusses what emerging financial issues to look out for this year. The case for change started with thoughts about the disparity between social housing service provision and commercial service provision. And with a desire to create a service model that engenders self-reliance, improves services and reduces costs. Greg Campbell says achieving balance in your top teams is the key to organisations surviving this ever changing period for local government. The article first appeared in the Municipal Journal on Thursday 10th August 2017. The new GDPR (General Data Protection Regulation) will introduce the biggest changes to the handling of personal data in 20 years. Adopted on 27 April 2016, the new regulation will come into force from 25th May 2018. What does it all mean and is your organisation ready? CT Associate Consultants Kathy James and David Mynors set the scene. The first Migrants’ Access to Housing Conference took place on the 20th of June 2017. Zina Smith, CT’s Marketing and Communications Coordinator reflects on the key messages. Fresh from a tour of cities in the Netherlands, Spain, USA, Japan and South Korea, Mia Rafalowicz-Campbell, examines, in the first of a series, how we need to make our cities function better by innovating to adapt. She starts with public space and transportation.